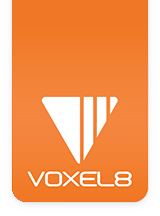 This troubleshooting article describes sounds recorded from the Voxel8 Printer that indicate whether the machine is functioning normally, or abnormally. NOTE: If you experience an abnormal sound related to hardware failure, you can record (on a mobile device) and send it into support for further diagnosis. The following sounds represent normal operation of the Voxel8 Developer's Kit given its unique internal hardware (e.g. pneumatics system). Some common noises from the plastic print head. Sound 001: The FFF print head is undergoing a wiping procedure with the silicon sleeve. Some common sounds during normal silver printing. Sound 002: Heavy Generation 3D Silver dispensing. Sound 003: Circular wiping and then Generation 3D Silver dispensing. Sound 004: Generation 3D Silver dispensing with wiping procedure at end. Sound 005: Generation 3D Silver point deposition. If your machine has a serial number on the back, then none of these apply to your machine. These are BETA machines only. Sound 006: Generation 3C Pressure release during silver printing (BETA machines). Sound 007: Generation 3C Silver Printing (BETA machines). Picture 008: Normal operation of fans from front (lid closed). Picture 009: Normal operation of fans from the front (lid open). The following are abnormal printer operating sounds which indicate a problem with the Developer's Kit Printer. When these occur, you should contact support. It is possible that one an earlier Developer's Kit Printer, the z-axis thread rod will start to squeak or "bark" (listen below). When this happens, it is possible to address the problem by coating the rod with a minimal coating of synthetic grease. The maintenance and care section covers this procedure. A skipping event relates to plastic filament being unable to be extruded, and causes a very distinct, reoccurring "clicking" noise that emanates from the FFF extruder top (listen below). Sometimes the noise will dissipate, and other times it will be consistent. Almost always, when a skipping event occurs it will continue to be an issue and eventually wind up in a consistently failed state of clicking. NOTE: This is a serious problem an when it occurs, you should pause your machine immediate. Follow up by reading the troubleshooting article on skipping on how to proceed. When the pneumatic system on the Developer's Kit Printer cannot attain sufficient pressure, the unit will generate a consistent sharp clicking noise emitting from the lower back of the machine. This is typically due to a loose or unplugged section of the pneumatic hoses that connect the tank & regulator underneath the printer to the silver print head cartridge above. An example is if you disconnect the pneumatic hose from the back of the Voxel8 printer. If leaky hoses are not to blame, then it is typically a faulty pneumatic sled which can be easily replaced with a new one. However, when the noise occurs it's best to turn off the machine and contact support for troubleshooting to see what can be done.